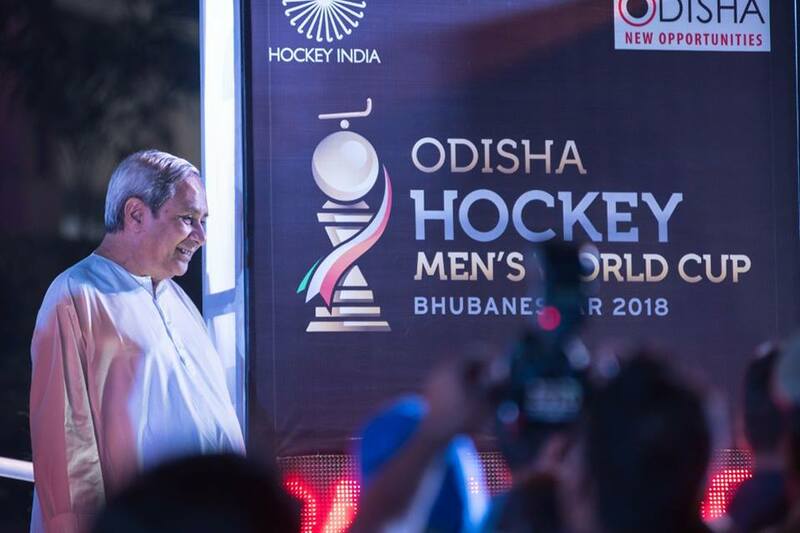 Bhubaneswar: Chief Minister Naveen Patnaik on Wednesday unveiled the logo and the mascot for the Hockey Men’s World Cup-2018 at the Kalinga Stadium here ahead of the Hockey World League (HFL) finals in the presence of the India hockey team. “I feel privileged to have unveiled the logo of the Hockey World Cup,” said Patnaik. 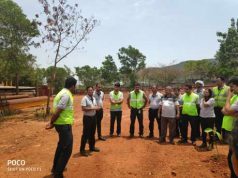 “We had successfully hosted the Asian Athletics Championships a few months back. 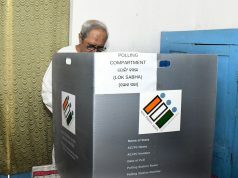 Odisha is fast becoming an international sporting destination,” the Chief Minister added. 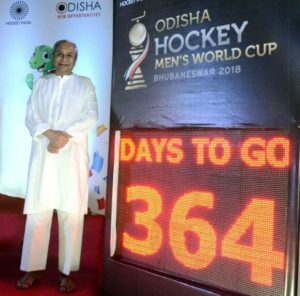 The Chief Minister also launched the countdown timer for the 14th edition of the Hockey World Cup scheduled to be held here from November 28 to December 16, 2018. As many as 16 countries, including host India, will participate in the international event at the Kalinga Stadium. The Chief Minister also awarded cash prize worth Rs 76.75 lakh to 59 sportspersons from the State for their outstanding contributions in their respective fields. 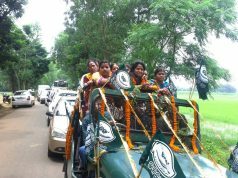 Among others, Sports Minister Chandra Sarathi Behera, MP Prasanna Kumar Patasani, MLAs Bijay Mohanty and Priyadarshi Mishra and Chief Secretary Aditya Prasad Padhi were present.